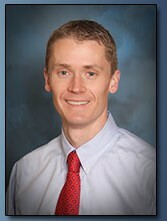 Dr. Brian Bird grew up in the Boise area and graduated from Meridian High School. After High School, he spent two years as a missionary for the Church of Jesus Christ of Latter-day Saints in Uruguay where he learned to speak Spanish. He then attended Brigham Young University where he meet his wife Emily. While at BYU, he studied Business Finance and completed the required courses for dental school. After graduating in 2000, Brian went to dental School at Oregon Health Sciences University situated in downtown Portland, Oregon. He was inducted into the Omicron Kappa Dental Honor Society and graduated with honors in 2004. After graduating from dental school, Dr. Bird was awarded an Advanced Education General Dentistry Residency with the United States Air Force. He spent one year at Travis Air Force Base in California receiving specialized training in all areas of dentistry including orthodontics, prosthodontics,oral surgery and sedation dentistry. After the residency, Dr. Bird was stationed at Little Rock Air Force Base, Arkansas for two years working as a general dentist. 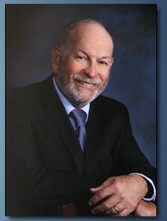 In 2007, Dr. Bird was happy to move his family back to the Treasure Valley to practice dentistry in the city he loves. Outside of work, Brian enjoys spending time with his wife and five kids. As a family, their favorite days are spent playing soccer, floating the Boise River, skiing at Bogus Basin, biking on the Greenbelt, rafting the Payette River, waterskiing at Lucky Peak or hiking in the Foothills. Dr. Hendricks grew up near Philadelphia Pennsylvania. He graduated from Penn State University and received his Dental Degree from Georgetown University. For twenty five years, Dr. Hendricks served as a dentist with the United States Coast Guard assigned to many duty stations throughout the United States beginning with the US Coast Guard boot camp in Cape May New Jersey. From there he and his family traveled to New Orleans, La., Yorktown Va., Astoria, Oregon, and Traverse City Michigan. After retiring, Dr. Hendricks and his wife Linda moved to Boise and not long afterwards two of their three daughters followed and now call Boise home. Of all the places they have lived, they have found Boise to be the best place of all. Dr. Hendricks is very fortunate to have received years of advanced dental training while with the Coast Guard and has made a lifetime commitment to continuing education. Dental techniques are rapidly changing and through his membership in premiere study clubs, he is constantly upgrading his skills in order to provide the latest techniques to his patients. Although there are many new and exciting advances in dentistry, experience has also taught him that basic dentistry is often the best treatment. When not in the dental office, Dr. Hendricks can be found playing golf with his wife and friends, fishing, biking and hiking. However, his favorite pass time is skiing at Bogus Basin where he helps with events and long term planning as a member of Bogus Basin Auxiliary Board.